Founded in 937, this city is one of the most renowned and visited tourist attractions on the upper Volga. It has been a princely center since the 13th century and the location of the tragic and mysterious death in 1591 of prince Dmitry, the youngest son of Ivan the Terrble, and heir to the throne of the Rurik dynasty. This event led to a political crisis called the Time of Troubles. The Uglich kremlin comprises Spaso-Preobrazhensky (Transfiguration of the Saviour) Cathedral, the Сhurch of Prince Dmitry “On Blood”, and The Palaces of the Princes. 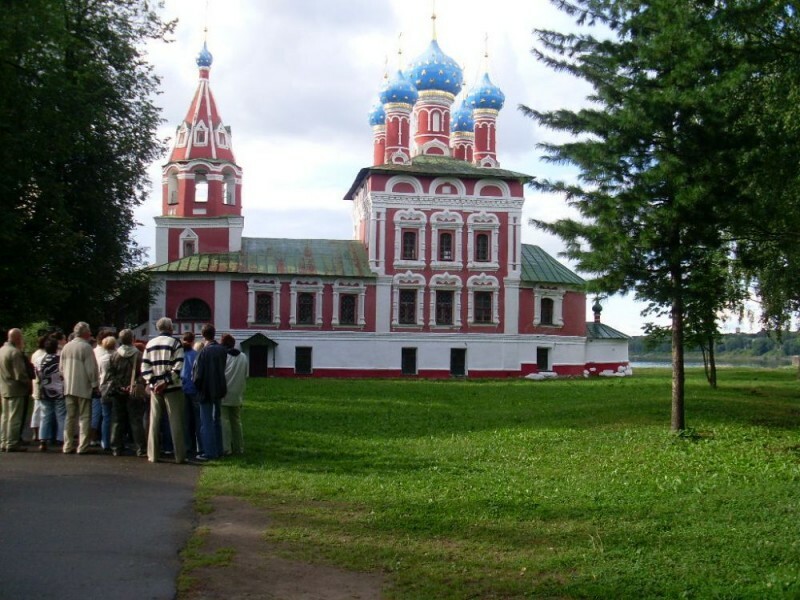 In addition Uglich contains Voskresensky (Resurrection) Cathedral, Bogoyavlensky (Epiphany) Monastery, and Alexey Monastery with a unique 3 tented “miraculous” Uspenskaya (Assumption) Church. There are several historic museums in Uglich and a new state-of-the-art hydroelectric power museum based on the Uglich hydroelectric power plant.